David Brightmore is a corporate retiree who turned his hobby and interest of art into a business artform. With decades of background experience in art, David saw the opportunity to progress his work into a serious part-time business; and opened up a workshop from his home in Mold, Flintshire. David approached J-D Design earlier this year due to having a website which hadn't been updated in a few years. The website was originally designed and released many years before that, and therefore David wanted a website that was responsive, modern and represented his work in a way that did it justice. It was very important that the new system allowed him to update his website easier and more regularly with his artwork - and also have the support of J-D Design of course; who will treat his website less as a product, and more of a service. David was looking for a website which not only looked great on all devices such as mobile phones but was also easy to browse for his visitors & customers. David needed the website to focus on his 3 core areas of work; drawings, figurative and landscape work. David also holds exhibitions both at his home and around the country at art fairs, check here for updates on where to see his work on display. 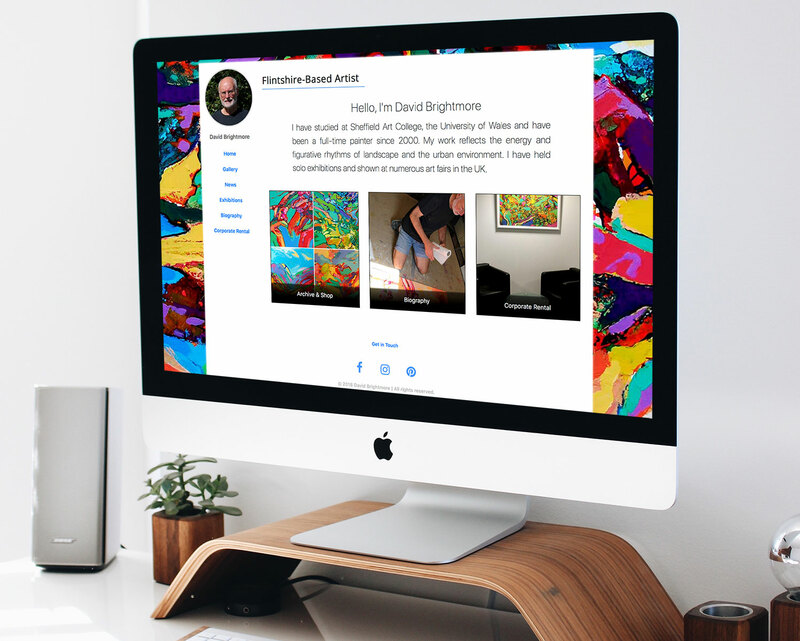 David was very happy with the outcome of his new website development, which featured an artwork management system which now allows David to showcase his work in their respective categories, and also includes e-commerce functionality allowing customers to purchase his artwork through his website allowing David to receive the payments straight into his bank account. J-D Design loves helping businesses of all sizes in pushing their web presence to the next level. If you're interested in launching a new website for your business; get in touch and say hello today! I'm really impressed with the quality of the management system to keep my website updated. The bespoke system you have built for my business is so easy to use, and really professional. The system John has developed was just what we were looking for, we could not recommend highly enough. I am really impressed with my personal career building website, and my own professional email is brilliant! From start to finish John has been great, I would recommend J-D Design for any project where you want a professional website with professional support. © 2019 J-D Design | All rights reserved.